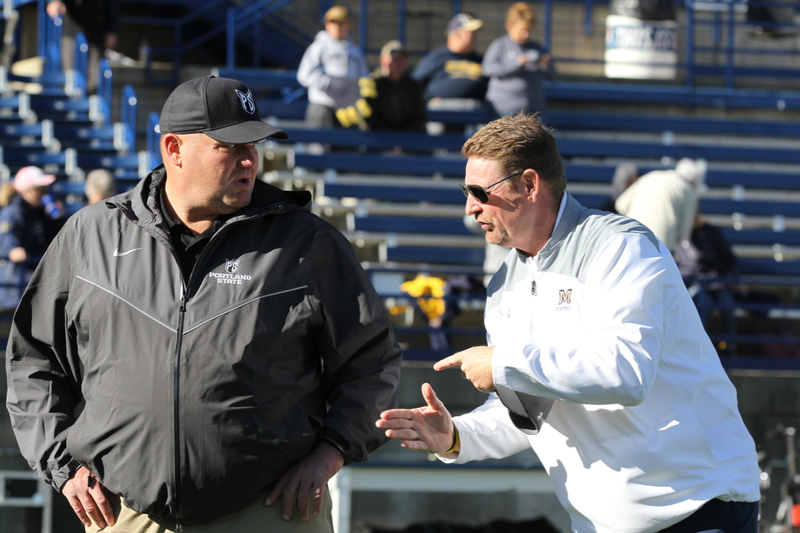 Bruce Barnum has spent most of the last 20 years in the Big Sky Conference, beginning with his time as the offensive line coach then offensive coordinator at Idaho State and now entering his ninth year in some capacity at Portland State. With league play set to begin on Saturday afternoon, Barnum’s Vikings will host Montana State at Hillsboro Stadium. Barnum has squared off with the Cliff Hysell version of the Bobcats, Mike Kramer’s rendition in blue and gold, Rob Ash’s Montana State’s teams and now the group led by Jeff Choate. The players and the coaches have changed since Barnum first landed at ISU in 1998. But the personality of the Bobcats remains the same in the eyes of Portland State’s fourth-year head coach. Every Big Sky game and Big Sky team has its own personality,” Barnum said. “Bozeman, Montana State, ever since Kwiatkowski when I get into the conference, they are the brawlers,” Barnum said. “They are the tough suckers. They had a defensive front-seven one year when I was at Idaho State last decade that was a joke. My guy was scared to snap the ball. They just beat our asses. “Some guys like (Adam) Cordeiro, John Taylor, (Jon) Montoya, I’ll tell you man, they beat us up. It got to the point I was running max protect, single man routes with our dudes. You couldn’t do anything against that crew. You could have them schemed up and it wouldn’t matter. It was like when we got a Jared Allen but they had more than one. Portland State did not win a game last season just two years removed from a nine-win campaign that included a pair of FBS wins and wins over five different ranked FCS opponents. Two years ago, tragedy ripped the Vikings at the seams during the off-season, leading to a 3-8 finish. Last season, dysfunction overtook the locker room following a pair of close losses, 20-6 at Nevada and 35-32 to Oregon State. Last season, Montana State completed just two passes but rushed for 403 yards in a 30-22 victory over the Vikings in Bozeman last season. The Bobcats carry a 2-1 record into their Big Sky opener that includes home wins over Western Illinois and Wagner and a lopsided loss at South Dakota State. 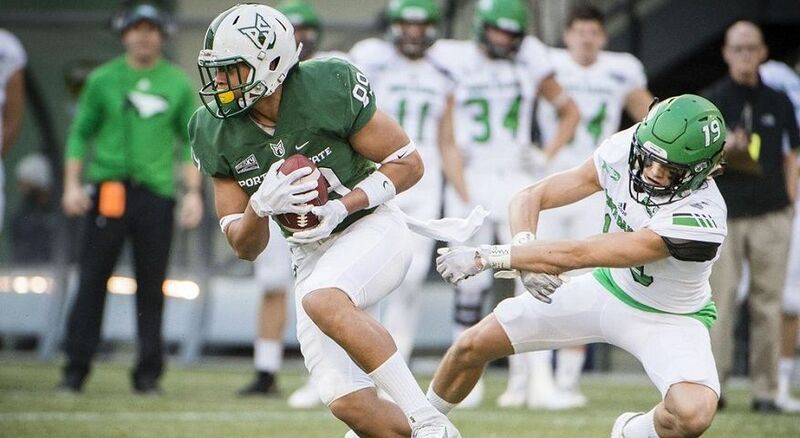 The Portland State offense features preseason All-American tight end Charlie Taumoepeau, a 6-foot-4, 245-pounder who caught two touchdowns in PSU’s 62-14 loss at Oregon. 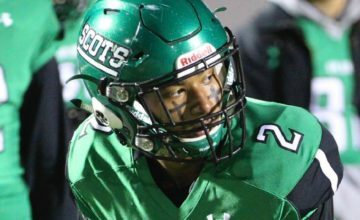 Choate said he remembers recruiting wide receiver Isaiah Woods, a 6-foot-1, 210-pound former prep All-American, to Washington a few years back. Choate said that defensive linemen Larry Ross and Anthony Del Toro, the latter an FCS Freshman All-American in 2016, popped on film during preparation. And the Vikings have one of the league’s most unorthodox defensive schemes. 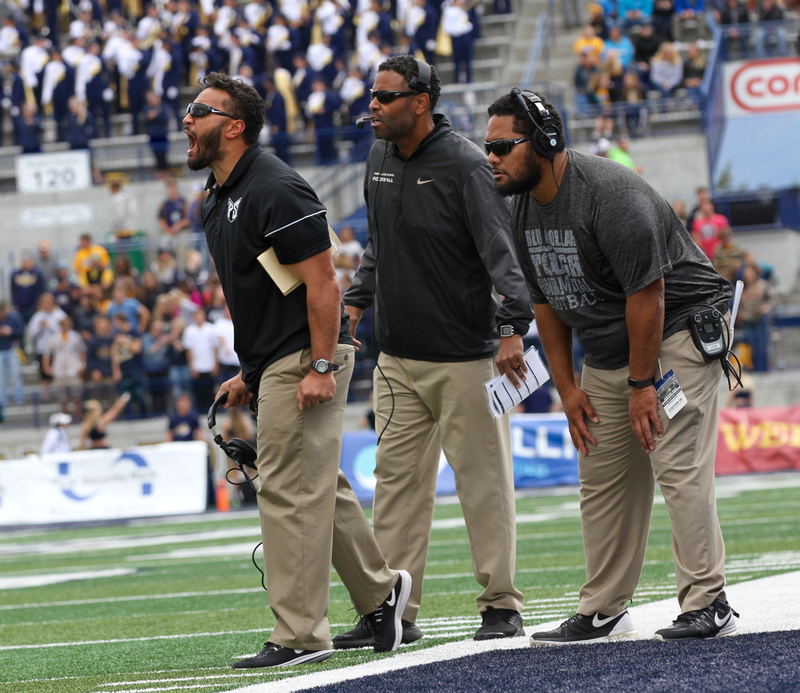 The Vikings are operating the flex defense that defensive coordinator Payam Saadat had much success with on Rich Ellerson’s staff at Cal Poly last decade. “The Flex defense, the whole deal with that is put one more in the box than you can block,” added MSU offensive coordinator Brian Armstrong. “And play a lot of man-free behind that and then play some form of Cover 2 where there’s usually some holes. It’s about if you can find the hole before they find your quarterback when you are throwing the football. Or man-free, finding a matchup you can win at. Run game wise, with who we are, we still have to be able to run the football even though they are going to put one more in the box than they can block. That confusing but unproven Portland State defense will be matched up with a Bobcat attack shrouded in mystery. Troy Andersen put the team on his back and willed the Bobcats to a 26-23 victory over Western Illinois in the opener. A hand injury sidelined Andersen in a 45-14 loss at South Dakota State. Redshirt freshman Tucker Rovig struggled in the first half of his first start at quarterback as MSU fell behind 31-0 early in the third quarter. But last week, Rovig transformed into a young signal caller lacking confidence into an assertive gunslinger not afraid to throw into tight windows. The 6-foot-5 former 3-star recruit from Boise completed 23-of-34 passes for 310 yards and three touchdowns. Montana State’s offense rolled up 566 yards of total offense, the most in three seasons under Choate, in a 47-24 victory over Wagner. Andersen practiced with the quarterbacks this week and is expected to at least play if not start under center at Portland State on Saturday. Portland State has a similar situation as Barnum continues to waffle between Davis Alexander, the starter down the stretch last season and the best thrower of his quarterback crew and Jalani Eason, the starter early last year and against Oregon this year, an athletic player who can stretch defenses with his arm and his leg. “They are just in a mode right now where they are stuck in between,” Choate said. “They like the ability to spread the field and throw the ball and No. 6 (Alexander) does a good job of that. And they have some really good weapons on the perimeter. 80, the kid from Washington (Woods), I mean good God, Immanuel, he looks the like the mannequins up in front of my office. No. 89 (Taumoepeau), he’s a freak show. Portland State has not won a Big Sky game since a 51-29 triumph at UC Davis on November 5, 2016. Ten straight league losses have followed, including a pair of one-touchdown losses to Sac State and Eastern Washington, respectively, to end 2016. Last season after coming up short to Oregon State — the Viks missed a game-tying field goal as time expired, a loss Barnum called a “gut punch we never quite got over” — PSU lost eight league games in a row in a variety of fashions. UC Davis blocked two punts and bludgeoned Portland State in the City of Roses in a 37-14 whipping that Barnum called “a complete joke” because of his team’s poor preparation and effort. 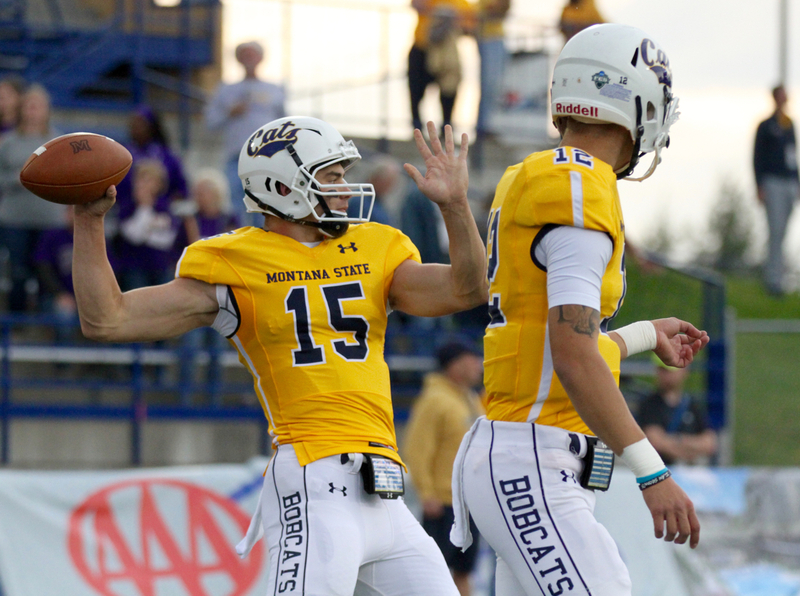 The Vikings lost by eight in Bozeman despite MSU’s prolific rushing total. PSU led Case Cookus throw for 347 yards and four touchdowns in a 42-20 loss at Northern Arizona. The low point of the season came when a four-win Idaho State team put up 59 in a 29-point victory. 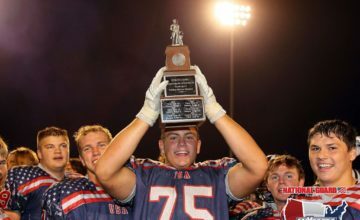 James Madison rushd for 160 yards and a score, Ty Flanagan rushed for 108 yards and four touchdowns and Tanner Gueller needed just 14 completions to total 327 yards passing and three touchdowns, including a 97-yard scoring strike to his brother Mitch Gueller, who finished with 195 yards receiving. 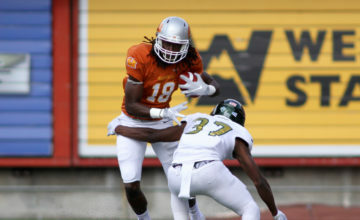 A 27-point home loss to North Dakota, a 35-28 loss at Cal Poly to give the Mustangs their lone win, a 63-17 los to eventual league co-champion Weber State and a 59-33 loss at Eastern Washington capped a miserable third year at the helm for Barnum. 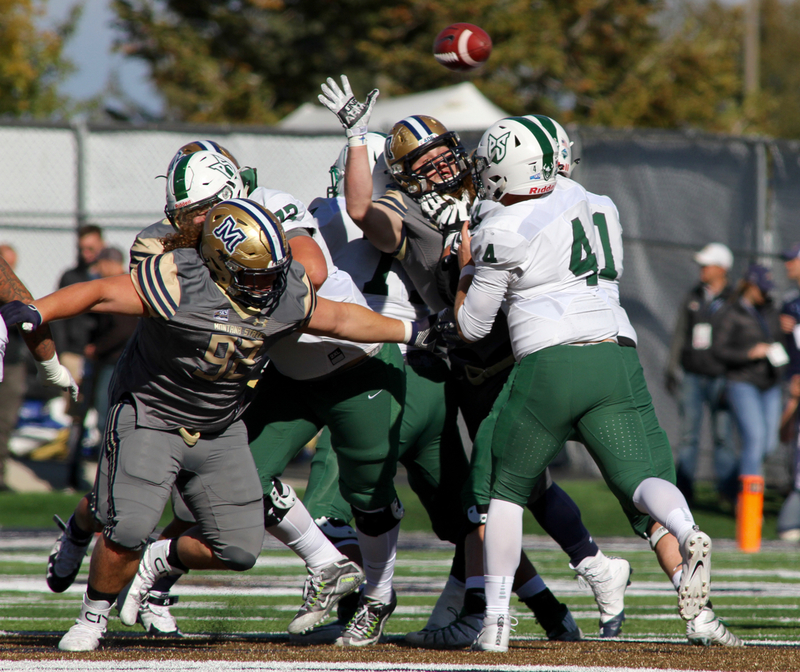 The Vikings start a new Big Sky gauntlet against a Bobcat team looking to snap a three-year streak outside the FCS playoffs. Replicating last season’s 5-3 record in conference play would give the Bobcats seven wins and likely secure a playoff berth. That trek begins Saturday in Portland. Barnum knows exactly what to expect. Photos by Brooks Nuanez or contributed. All Rights Reserved.